Award-winning mystery and children’s book author, Saralyn Richard, has been a teacher who wrote on the side. Now she is a writer who teaches on the side. Her children’s picture book, Naughty Nana, has reached thousands of children in five countries. 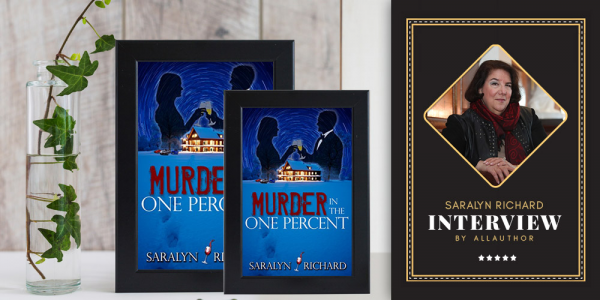 Murder in the One Percent, published by Black Opal Books, pulls back the curtain on how the privileged and powerful rich live, love, and hate. Set on a gentleman’s farm in Pennsylvania and in the tony areas of New York, the book shows what happens when someone comes to a party with murder in his heart and poison in his pocket. When not writing, Saralyn likes going to movies and concerts, traveling, and walking on the beach with her husband and two dogs. 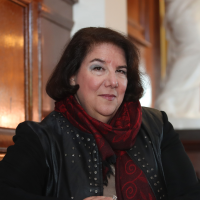 She is an avid reader and is completing her second mystery, A Murder of Principal. Her website is www.saralynrichard.com.